Lane Powell has been named the 2018 “Northwest Firm of the Year” by Benchmark Litigation. The recognition arises from the strength of the firm’s case matters during 2017, including precedents set and verdicts with notable high dollar amounts at stake. The 2018 edition ofWorld Trademark Review 1000(WTR)has recognizedLane Powellas a top trademark law firm in Oregon and Washington for a fifth consecutive year, naming shareholdersKenneth R. Davis,Frances M. Jagla,Parna A. MehrbaniandPaul D. Swansonas among the world’s leading trademark professionals. Lane Powell is proud to announce that it received, for the second year in a row, a perfect score of 100 percent on the 2018 Corporate Equality Index (CEI), a national benchmarking survey and report on corporate policies and practices related to LGBTQ workplace equality, administered by the Human Rights Campaign Foundation. The 2018 CEI report evaluates LGBTQ-related policies and practices including non-discrimination workplace protections, domestic partner benefits, transgender-inclusive health care benefits, competency programs and public engagement with the LGBTQ community. 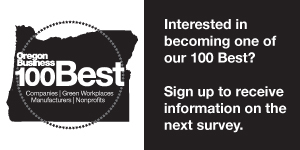 Lane Powell’s efforts in satisfying all of the CEI’s criteria resulted in a 100 percent ranking and the designation as a Best Place to Work for LGBTQ Equality. Portland attorneys respond to a New York Times article about pervasive mental health problems and drug use in the legal profession.